Fine Arts – Home Of The Patriots! 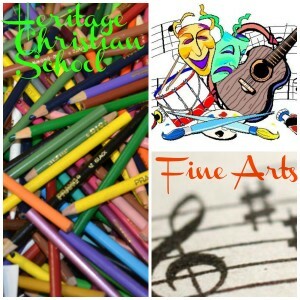 Heritage Christian School provides students with the opportunity to explore the performing arts of instrumental music, vocal music, and theatre, as well as the visual arts. Our students are challenged to acknowledge the responsibility of using their musical, dramatic, and artistic talents to serve God and others.